First off, I just have to say… you are flippin’ fantastic. The love and support you shared in response to Wednesdays post, The Last Chapter, has me vibrating with energy, ready to tackle this next chapter in my ongoing pursuit of recovery. Your stories, experiences and words of wonder have helped thousands of women everywhere. And, it’s not going to stop there. I’m committed to taking each of you along with me as I tackle this health issue that affects SO many of us. I will keep you as up to date as possible as I work to fully heal myself using a treatment plan that is as natural as possible. Okay, let’s get to the good stuff… the food stuff. I am so blessed to be partnered up with Happy Days Goat Dairy, an easy going, health conscious, local company that believes in the same essential things that I do. Their organic certification is in the works, nonGMO diets for their goats, it’s a match made in heaven. I create a new recipe for them each and every week, they post it on their website, and I share the recipes with you on the monthly. If you’re sensitive to dairy and just can’t do goat products, I always include dairy-free suggestions for you, too. 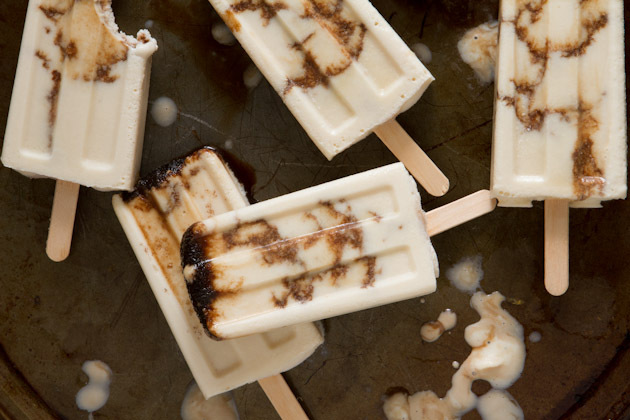 A delicious cheesecake popsicle with swirls of reduced balsamic vinegar. I went all out with these popsicles, I must say. Powdered sugar, goat’s milk, cream cheese and yogurt. They’re rich in all the right ways. Dairy-free alternative: all of the goat products can be replaced with their dairy-free counterparts – dairy-free cream cheese, coconut milk and dairy-free yogurt would work great. If you want to reduce the processed sugar component, feel free to replace the 1 cup of powdered sugar with 1/3 cup of honey, coconut nectar or maple syrup. I just didn’t have any handy the day I made these popsicles! 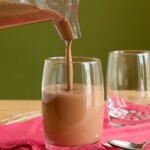 A high protein fudge shake with the goodness of hemp seeds, goat milk and rich cacao powder. Dairy-free alternative: easy! Just replace the yogurt with your favorite non-dairy yogurt. 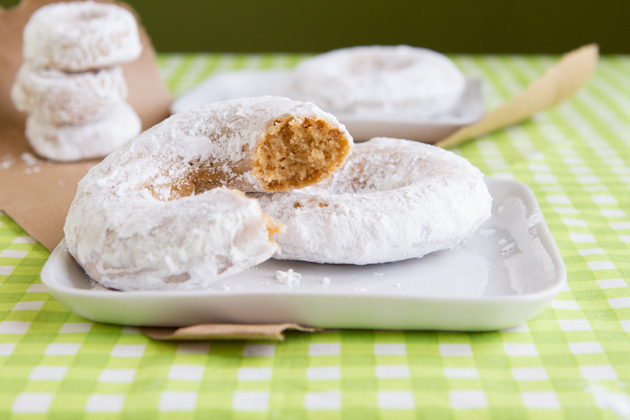 Powdered cake donuts made with healthy gluten-free flours, goat milk yogurt and a sprinkle of fresh orange zest. 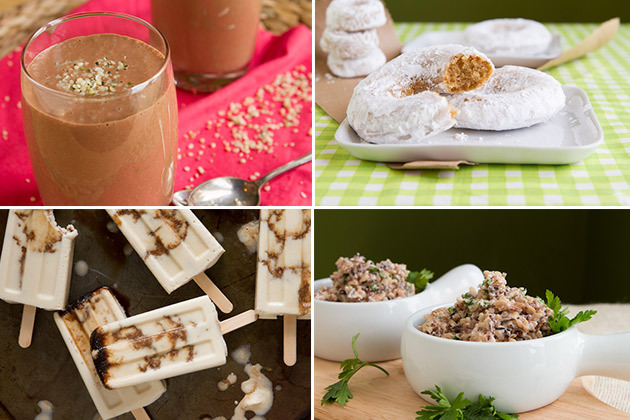 The sugar can be anything you have on hand, from coconut sugar to cane sugar and everything in between. Dairy-free alternative: another simple swap. 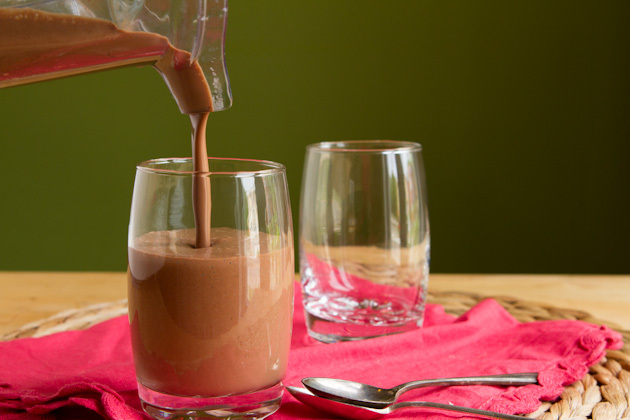 Just use your go-to non-dairy yogurt. My favorite is almond, but it’s a preference thing. Want a non-refined powdered sugar option for the powdered sugar? If you have a coffee grinder or spice grinder, add a couple of tablespoons of coconut sugar to it, grind, and use as powdered sugar. It wont be full-on white, but it’ll do the trick perfectly! 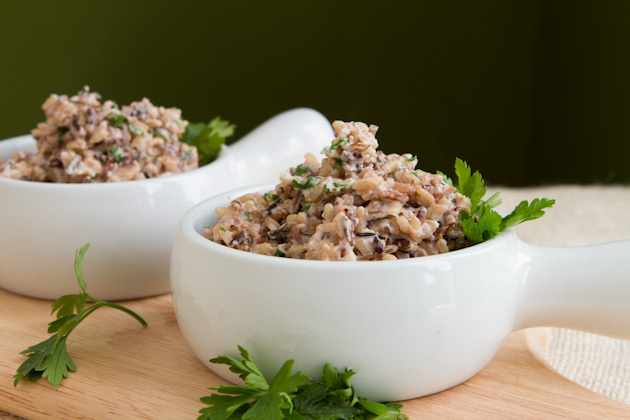 Creamy wild rice made with just 2 ingredients. A simple side dish for grilled chicken, fish or beef. Dairy-free alternative: you can swap out the soft goat cheese with 1/3 cup of hummus and an extra splash of fresh lemon juice. Kevin and I are heading to a big barbecue at our neighbor’s house tonight and I’m in charge of the salads. It’s still early in the day, so I haven’t given it much thought yet. Any recipe suggestions? Tomorrow, Kevin and I are going downtown to experience Taste of Calgary 2013, the city’s biggest outdoor food festival. And this year? They have a TON of gluten-free options, from chicken tikaa, to bacon prawns, cabbage rolls, ice cream, pakoras and everything in between. If you’re going, and you see me, stop and say HI! My face may or may not be covered in curry… you’ve been warned. Have a safe and relaxing weekend, everyone ;) This post was sponsored by Happy Days Dairies. All opinions expressed herein are those of Healthful Pursuit Inc. and are not indicative of the positions or opinions of Happy Days Dairies. Thank you for supporting the brands that I believe in and choose to feature here.